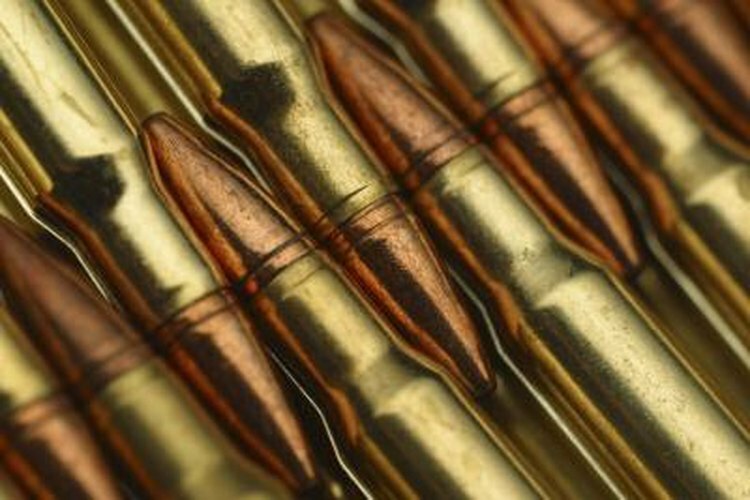 What is the Difference Between .22 Long & .22 Long Rifle Ammo? The gun ammunition known as .22 long rifle (LR) made the .22 long (L) obsolete, and new firearms are not designed to use .22 L ammunition. A few companies still produce the .22 L cartridge because it will fit inside a .22 LR case, but the three largest producers of ammunition, Federal, Remington and Winchester, do not. The .22 L ammo dates back as far as 1871 and is the second oldest rimfire cartridge. In 1887, .22 LR ammunition emerged from the .22 L, when the long ammunition was combined with .22 extra long ammo. With a rimfire cartridge, a gun's firing pin strikes the cartridge's rim to fire it. The .22 L ammo uses a .22 LR case but is a shorter bullet. A .22 LR bullet is about 0.975 inches long, while a .22 L is 0.800 inches long. A .22 L weighs less than a .22 LR when comparing high-velocity weights. While the .22 L weighs 1.88 g, the .22 LR ranges from 2.1 g at its highest velocity to 2.6 g at its lowest. Even though the .22 L comes in both standard and high-velocity versions, it is still 15 feet per second slower than the .22 LR high-velocity bullet. The .22 L launches at a velocity of 1,038 feet per second, while the 22 LR ranges from 1,080 to 1,640 feet per second. While the original .22 L uses the same powder charge as the .22 LR, the .22 L bullet's weight contributes to inaccuracy in shooting. Therefore, the .22 LR is the preferred choice in shooting competitions.